will optimize conversion and grow sales. Animiz save you much time of searching materials about business and marketing. There are tons of online video templates for you to choose from. What is needed to mentioned is that there are a category of business templates where you can easily find one for your theme. Click to open and apply it so that you can replace and modify the template with your own contents. 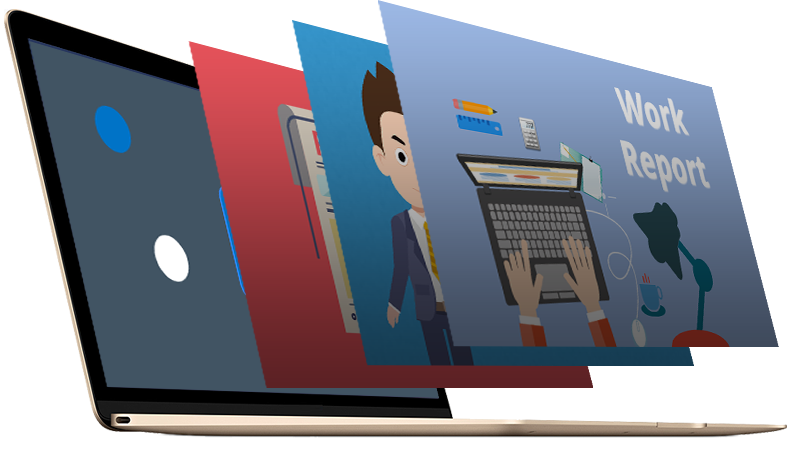 You can get complete animated video for marketing easily with the help of the template. Charts are needed quite much upon the business or marketing animation video. It is complex to make a complete chart without any tool. Animiz offers you 10 chart templates for you to design and customize your own one, for example bar chart, dot chart, pie chart, stacking chart, etc. You are allowed to modify the font, text, and color of your chart according to the corresponding data. Charts would bring you more audiences for the charts speak louder than only words. Business and marketing videos are usually used for making reports to audiences. 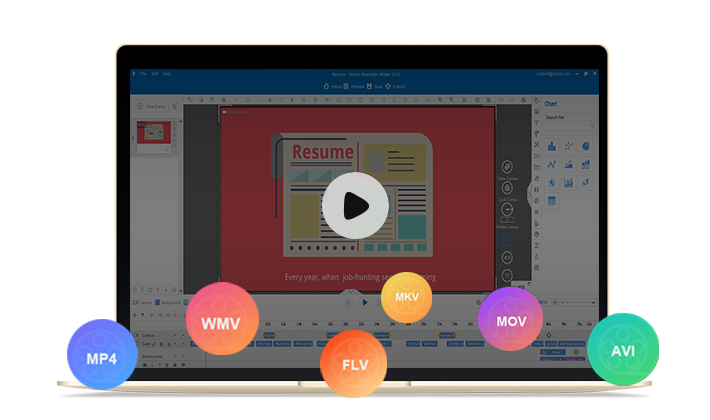 Subtitle and record would make your animated video be more vivid. In addition, they would make your animated video be understood by more people. Customize the appearance of the subtitle. 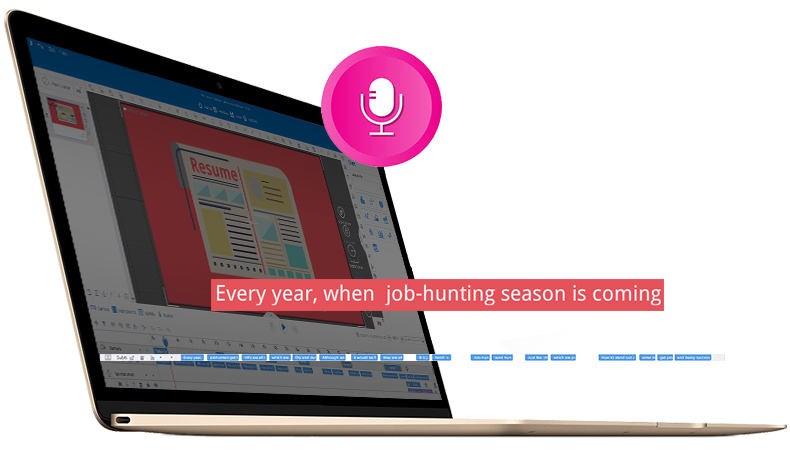 Furthermore, record your voice to make the dubbing for your subtitle, letting more people hear your business report. After embellishing your animated video with multimedia and animation, it is time to publish your business video. Besides publishing online, you can also publish it as video or GIF formats. You can customize video size, frame rate and voice or GIF rate before publication. These two ways are allowed you to watch or read offline. Sign in Animiz account and begin making marketing animated video. Choose a business video template according to your theme. Insert and add multimedia and animation to decorate the video. 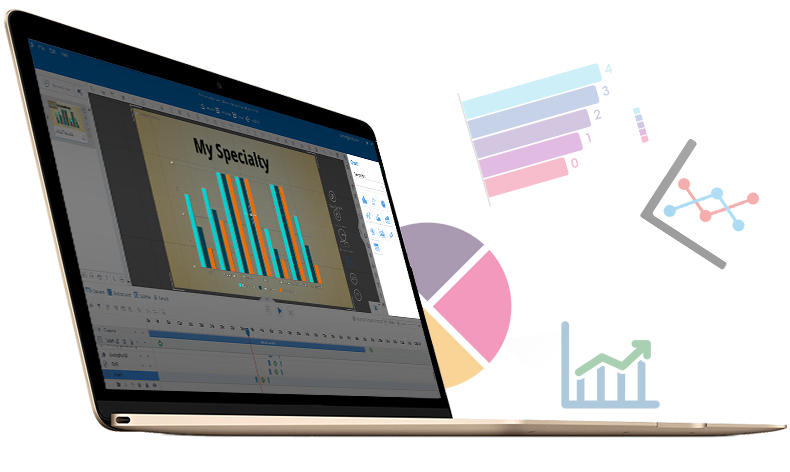 Add and customize charts to enrich the marketing animated video.